Last September we started our project and accordingly with our travel preparation: getting some checklists, reading blogs and travel books of other travellers, doing first shopping - all together it seemed to be easily managable. While we got engaged more and more, many additional tasks came up. The first and most important task was to find the right touring bike. Markus did a lot of investigation in the internet until he successfully came up with possible brands that would suit our requirements. 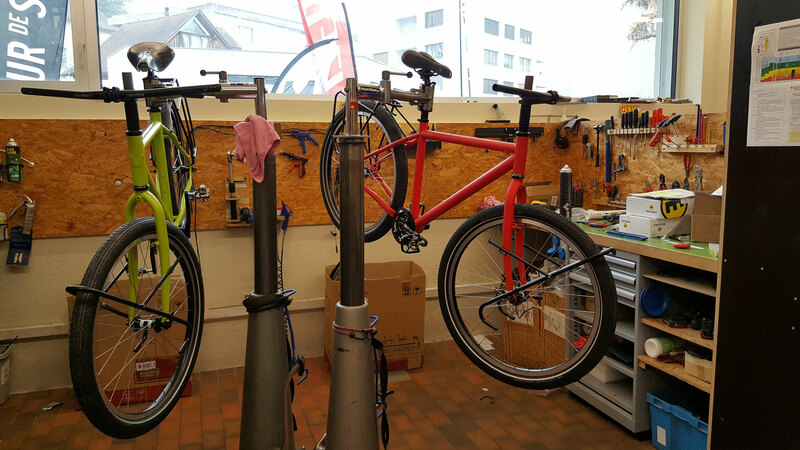 The bike shop velocipede in Kriens, which is specialised in touring bikes, had these brands in his product line. So we went there to do some test drives and finally took our decision: it should be a "Velotraum" (Bike dream). Together with the salesman Thomas, who supported as very professionally, we managed to take all necessary decisions regarding size of frame and color, all components (brake, gear, saddle) for the bike in one day. Mid December the bicycle with all components arrived, which allowed us to mount the bicycle ourselves, Thomas giving all necessary guidance. By now we should be prepared to fix any bicycle problem that might arise ourselves. Meanwhile we are almost ready to leave. 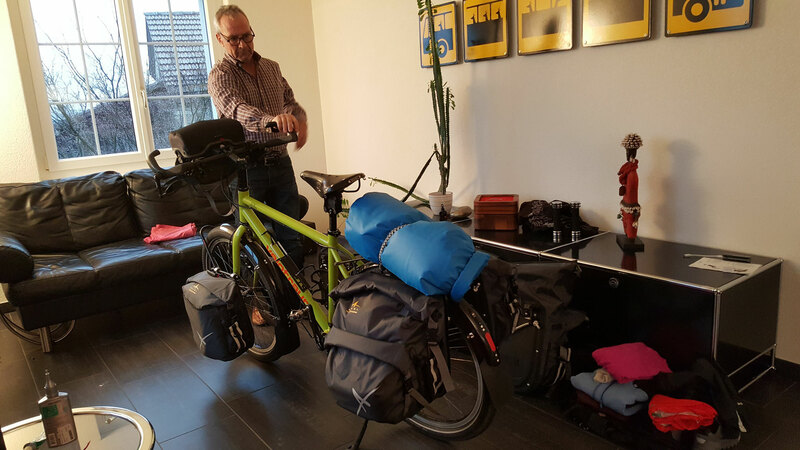 We decided about the route, we bought the necessary tools, clothing, tent, sleeping bags and stove. All electronic equipment is there, vaccinations are done, banking and insurance topics are well organised. The tasks of gardening, housekeeping and mail processing are distributed to different people. Our homepage is ready. 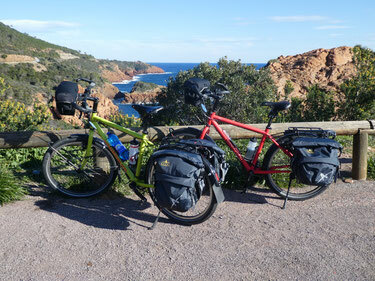 Moreover, we outsourced the task to get our visas, we successfully completed a test packing and did also some test driving in the South of France. And now we hope for nice and warm weather for our start in March.